If you’re reading this post, you are more than likely a fan of science fiction and fantasy (SFF). You enjoy having your intellect stimulated and your imagination stretched. You love temporarily immersing yourself in Middle Earth, Oz, Narnia, Earthsea, Amber, Dune, The Federation, or The Foundation. Perhaps you enjoy SFF movies, playing Dungeons & Dragons, or attending Comic Conventions. Maybe you even do cosplay. To paraphrase Jeff Foxworthy, if you own a costume weapon, you’re probably a geek. If you wish you were Mistborn, a Space Marine, or an Iron Druid, you’re probably a geek. And if you speak Quenya or Klingon, you’re definitely a geek. Not that there’s anything wrong with that! Maybe you’ve even been fortunate enough to find a life partner who shares (or at least tolerates) your passion for SFF. Maybe you’ve even been blessed to have some little ewoks of your own. Well, if you’d like your progeny to share your interest in Aslan, Kzinti, and Panserbjørn (oh, my! ), and follow in your armored footsteps, then it’s never to early to get them interested in SFF literature. I still remember reading (repeatedly) the picture book WHERE THE WILD THINGS ARE in my elementary school library. “It’s an exciting business reading a picture book… if you don’t keep your feet, there’s no knowing where you might be swept off to!” to misquote Bilbo Baggins. 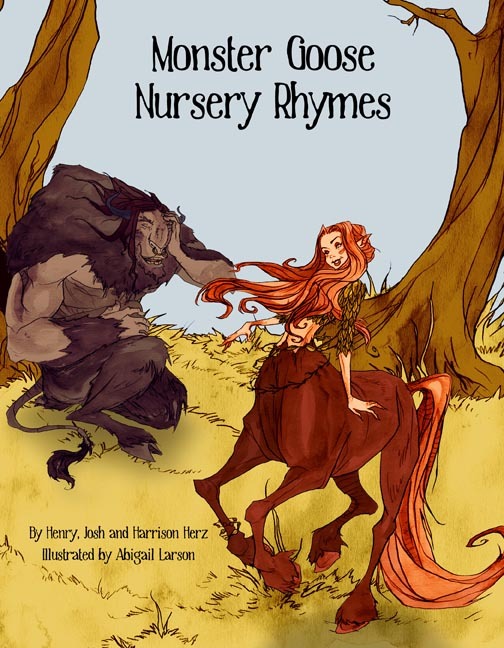 If you want a gentle, familiar way to spark the imagination of your Halflings, to introduce those little carbon-based life forms to goblins, trolls, zombies, minotaurs, and more, then I encourage you to take a look at MONSTER GOOSE NURSERY RHYMES. But, be forewarned. MONSTER GOOSE NURSERY RHYMES is a gateway book to THE HOBBIT and BULLFINCH’S MYTHOLOGY! Previous ABC’s ‘The Quest’ Will Remain on ABC.com For All of 2015!